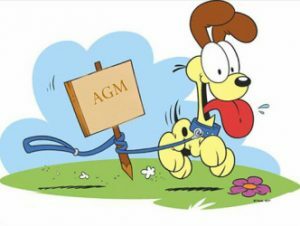 BBU AGM – Saturday 15th September 2018 – London – Please join us!!! We will hold the 2018 AGM of the British Biathlon Union in London on 15th September 2018. The meeting will take place at 14:00hrs at the offices of the British Olympic Association, 60 Charlotte Street, London, W1T 2NU. We would be keen to see as many people as possible at the meeting in order to update you on the BBU and engage with you about the future. If you are not a member but would like to become one, please fill in the form attached here and also at the bottom of this page. Regardless of whether you are a members we would be delighted to see you and hear your views, but non-members will not be permitted to vote. If you are a member but cannot attend in person then the attached proxy voting form will allow you to vote without being there. Please send these forms to info@britishbiathlon.com by 12:30 on 13th September. Finally, there are two positions available for member elected directors of the BBU board. If you would like to help steer the BBU and actively contribute to its running then please consider going forward as a candidate. All the details are in the Nomination form below but please get in touch with Roddy Christie on +44 771 4766860 or info@britishbiathlon if you have any questions. The deadline for nominations is 15th August 2018. Agenda and other documents will follow by 06 September 2018.